A mother or father’s parental rights may be either voluntarily or involuntarily terminated for a variety of reasons in Tennessee. When the decision is made to voluntarily terminate parental rights, it is typically to make way for adoption. However, when parental rights are involuntarily terminated, it is generally because abuse, neglect or abandonment is present. A parent can also lose their parental rights if they fail to pay child support as ordered by the family law courts or they are deemed to be unfit parent. The family courts will only terminate parent’s rights if it is in the best interests of the child. Once parental rights to a child are terminated, then one parent may be awarded sole custody and the parent who had his or her rights terminated will no longer be permitted to have contact with the child. In addition, once a parent’s rights are legally terminated, they no longer have to pay current child support. They do however still have to pay off any child support owed (known as arrears). At Karnes Legal Services, we offer aggressive legal representation for terminating parental rights during adoption, child custody cases, and other family law cases. The attorneys at our firm also represent clients fighting to protect and maintain their parental rights. 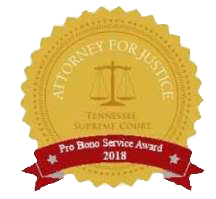 Please contact a knowledgeable Tennessee parental rights attorney at our firm immediately to schedule a consultation and to take the first step towards a better and brighter future. To speak to one of our legal professionals who is dedicated to communicating with you, is sensitive to your needs and is an effective and skilled advocate, contact the law firm of Karnes Legal Services, at 731-668-9529. Or, if you prefer, send us an e-mail using our secure online form. We accept all major credit cards. NC Mom loses five children to foster care when she asks for help with housing.